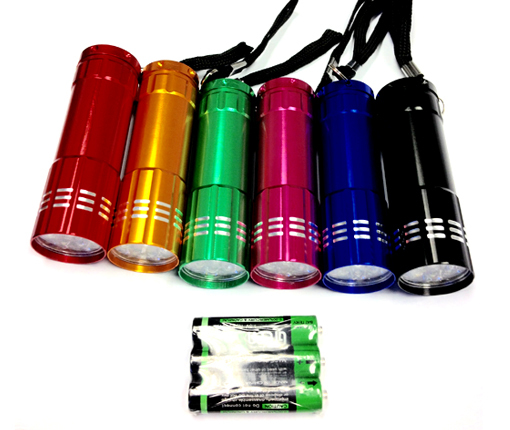 Product Description: Small, bright flashlight with nine LED array. Bright color aluminum barrel. Hand Strap. 3 AAA batteries shrink wrapped inside each individual gift box.